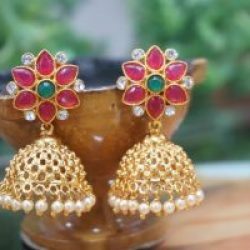 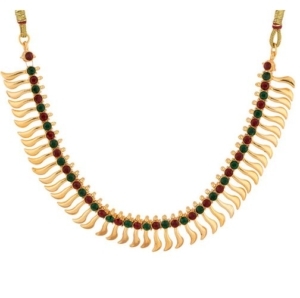 Reeti Fashions – Splendid Green Maroon CZ Embellished Necklace Set. 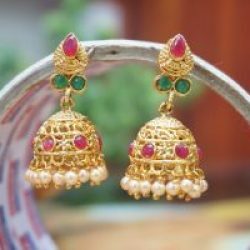 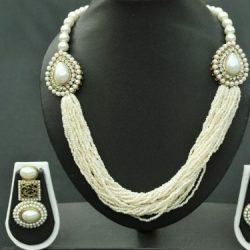 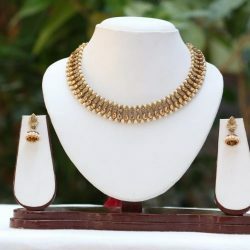 Presenting a gold tone short necklace set showcasing charm and elegance. 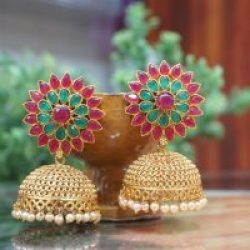 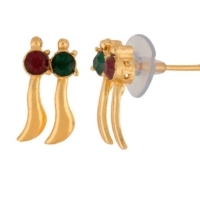 The striking design embellished with green and maroon CZ stones is surely give your ethnic look that contemporary touch.